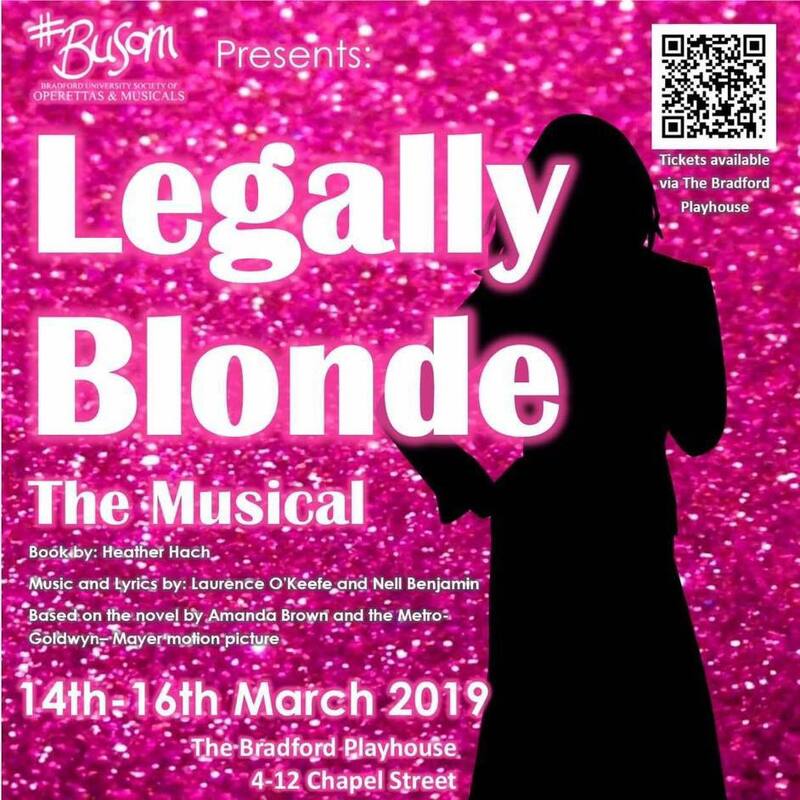 Bradford University Society of Operettas and Musicals present Legally Blonde the Musical. Join Elle Woods on her adventure from her sorority house in L.A. to the prestigious Harvard Law School. With the help of her friends, she challenges stereotypes and scandal with her perfectly pink personality in pursuit of her dreams. Based on the book Legally Blonde and the 2001 film of the same name, the musical has been a huge success both on Broadway and West End. With dynamic dancing and memorable songs, this heart-warming and hilarious musical is a hit for the whole family!